I wasn’t sure about what eating in Iceland would be like…I was actually pretty worried. Being a picky eater, but adamant about trying new foods, I knew that I had to make an effort to find some good places and try some real Icelandic food. 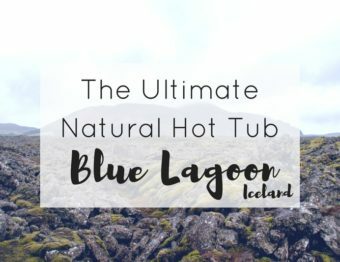 Just so you don’t have to go searching too hard, I’m including all the places where you can find some good food in Reykjavik–the city where I spent most of my time on this trip to Iceland. All of these spots, I would definitely go again. 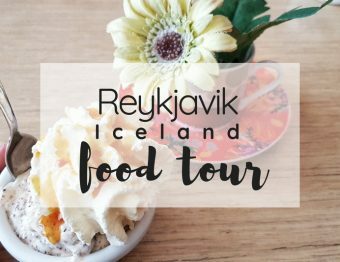 Going on a food tour in Reykjavik is also a good idea! The first thing I did was ask my friends for their suggestions about where to eat in Reykjavik. 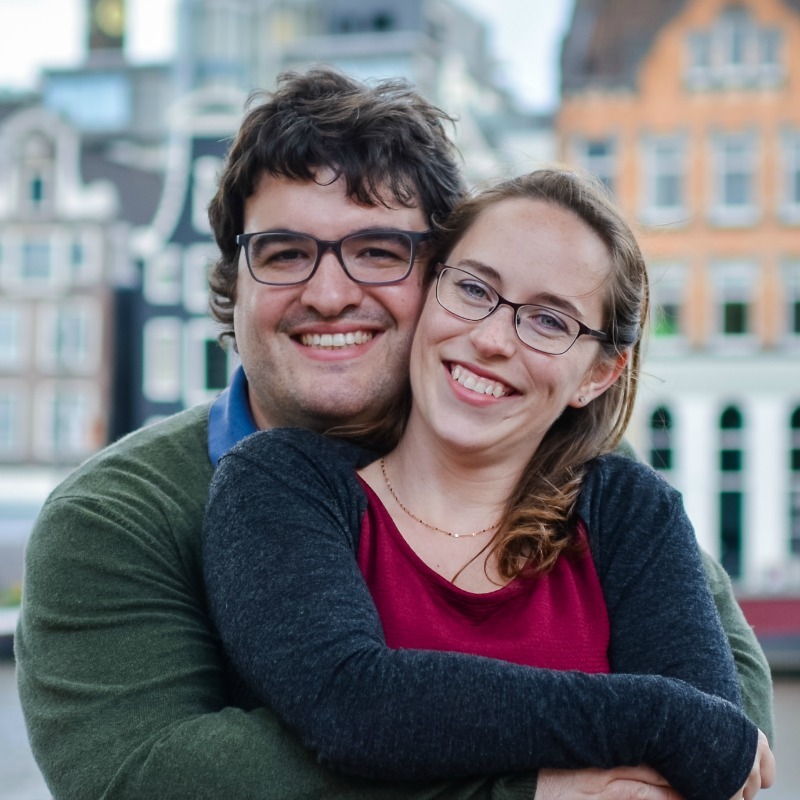 Luckily, I know plenty of people who have visited in the last couple years who had some great suggestions, but my favorite was the recommendation from Danika and Chris of No Destinations who recommended The Fish Company. 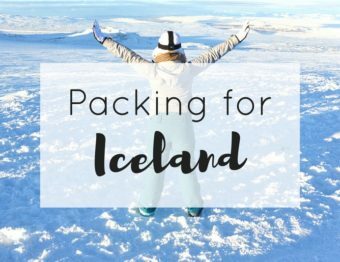 We all know that Iceland can be a bit pricey–even coming from Amsterdam, I had to budget properly to eat out in Reykjavik. At first, I was a bit surprised at how much the “Around Iceland” tasting menu cost (about 88 euro per person at the time) at The Fish Company. But when you think a burger and fries can be about 20 euro, it ends up feeling like a bargain. Honestly, that meal was definitely worth the cost. If you are one to appreciate good food and appreciate how much you sometimes have to spend to get a good meal, then it’s a great place to have a really nice dinner. Then Skye from Skye Class recommended the hot dog stand, Bæjarins Beztu Pylsur. This is a great budget lunch for only 450 kroner (about 3.65 euro). It’s just one of those places you need to go when in Reykjavik. Just don’t be expecting a gourmet meal! It’s a lamb hot dog with a bunch of stuff on top (and on the bottom). Might not be pretty to look at, but it’s darn tasty! Shouldn’t be much of a surprise that Iceland is a bit cold part of the year. November had it hovering around freezing, which as long as you are dressed properly for Iceland, should phase you too much. Though, it does make going in and out of warm places a bit annoying. Well, after meandering through shopping streets and residential areas around Reykjavik by foot, I was ready for some hot chocolate. Two places stood out on Google for the best hot chocolate and they happened to be very close to one another. I popped into Mokka Kaffi and my first thought was that it was smaller than I assumed. Didn’t matter to me, though. I was by myself! Since you order at the counter it was the perfect amount of time to order, then grab a seat and take off all the wintery layers before your big cup of hot cocoa is ready. Yes, I got whipped cream because I just don’t understand why you wouldn’t! It was chocolatey and creamy and basically Heavenly. Served at the perfect temperature so there is not waiting was just a bonus. The staff was nice and I would love to go in there to just work or hang out with friends. The space had such a cozy feel! The other cafe I heard about for hot chocolate was C is for Cookie. This time I went with a friend which makes everything better (for me, I’m not a fan of traveling solo). I got a hot chocolate with whipped cream along with an apple pie. Again, the staff was great and I liked the vibe here but it felt more like a cafe than a place you could hang out for a while. The hot chocolate was good, don’t get me wrong, it just wasn’t as good as Mokka Kaffi. It was less creamy and smooth and soothing. I would recommend that you give both a try though…especially because the apple pie at C is for Cookie is amazing! With a bit of a crumbly top, kind of pie-like but also a little cakey, it was like all the best features of apple pies you’ve ever had. I was all like nomnomnom and inhaled it. It’s a shame that Iceland is mostly known for fire and ice…and geothermal lagoons. I mean, yeah, that part is beautiful, but what about the seafood?! I’ve already pointed out The Fish Company, but Kopar is by the harbor which gives a little extra with a great view of the water, boats, and whatever the sky decides to show off that day. Tip: Get a table upstairs. It’s amazing! Kopar combines new and traditional dishes but all showcases Iceland cuisine in a cozy restaurant. If you are able, I would highly recommend the tasting menu. I mentioned this before, but it deserves reiterating, these are typically a good value and you get a great feel for the chef, the ingredients, and the cuisine. Apotek is in an old pharmacy turned into a restaurant with an interior that I fell in love with. Being called “Apotek” is a nod to the old pharmacy, but you’ll also see some other quirky features that keep that theme going. Here you’ll find Icelandic cuisine, but also other European dishes, and for some reason, an Argentinean grill. They will also make you a potion for whatever ails you served by their mixologists. The little extra here is an amazing pastry chef that whips up desserts that will remind you of the best pastries you’ve ever seen in Paris! They aren’t just pretty to look at. Of course, not! Why would I tell you about something that doesn’t taste delicious? Hahaha! The flavors and textures are just perfect. The food in Iceland has a bad rep. What’s the first thing you think of? The fermented shark that every tourist seems to hate? It’s not all like that. Even though I was so worried about the food considering how long I was there, it’s just not as foreign as many of us seem to think. The main elements are lamb, dairy products, and fish. Not weird, right? There are so many more restaurants for us to try and report back to you on! We are both ready to pack back up and fly back just to eat. What is the weirdest (to you) food you’ve ever had? And if you’ve been to Reykjavik, what was your favorite thing you ate? Now, go and have an AMAZING time! Don’t forget to tag us on Instagram (@awanderlustforlife) so we can see you memorable experiences. The food is outstanding in Iceland even if it’s on the pricey side. I had the most amazing gnocchi there ?? I’m so glad you think so, too! I’ve heard about the Rye Bread Ice Cream from Loki, I’m definitely going to try that when I go there next week! Hey Julia! Did you get to try it and did you love it? 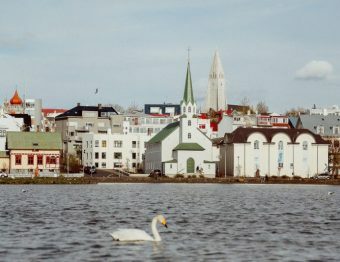 What did you think of Reykjavik? I love to get people’s reactions! What sauces does those hot dogs have??? Looks interesting.